Sony Ericsson has launched a new teaser site where it claims to be re-inventing music as we know it. 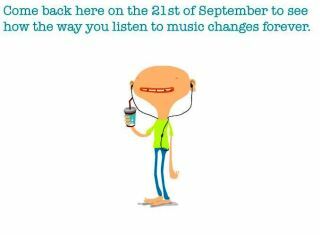 Well, not necessarily the tunes themselves, but it says: "Come back here on the 21st of September to see how the way you listen to music changes forever." "SE Headset for Sept, 21 isn't so great, turn on music/radio when you wear it, nice but so niche. Could put review now, but let them announce." The microsite is at sonyericsson.com/putyourearsincontrol/, so we're assuming it's juts going to be some way to control the tunes directly from the device. Although we wish Sony Ericsson was launching a way to control the music via tiny muscle movements in your ears - which would be miles better. The brand will be making the announcement via a webcast on the 21 September, which TechRadar will be watching with bated breath (well, at least a casual interest). Sony Ericsson has already ditched the Walkman branding from its high end handsets in order to create the 'Entertainment Unlimited' umbrella term to marry music with its camera hardware.